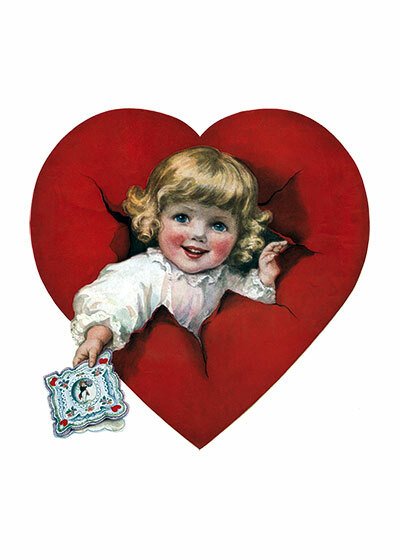 This beautiful baby breaks though a heart to offer us a valentine. This beautiful baby breaks though a heart to offer us a valentine. From a magazine cover illustration.